When I tell people that I live in Plainfield, Indiana, one thing is always at the top of everyone&apos;s comments, "Wow they have great trails and parks there!" To which I always smile and reply, "Yes, they do." As Plainfield prides itself on being a community of values. The value of family and it&apos;s health and well being are lived out literally in their town. 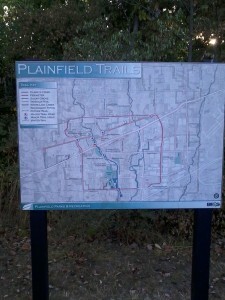 Boasting more than 20 miles of trails, the town of Plainfield is a model of what the modern day community should look like. Plainfield Parks Director Clay Chafin shared with me why the park developement is important to the community at large, "At the core of the Plainfield value system has been the family. When the family has been strong, our nation, our communities, our churches, our schools, our people have reaped the postive results." "The trails and parks allow us to connect families to each other, friends and businesses creating a sense of community," he added. Boy have they created a community! In fact, it seems if you want to, you can virtually get anywhere in town by using the 20 miles of trails. Their linear park plan seems to be years ahead of any other community in Hendricks County. 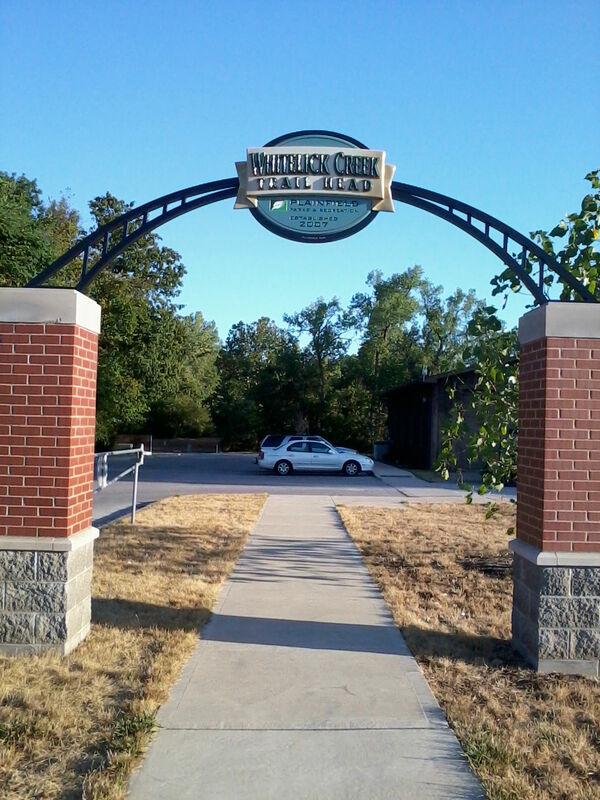 Currently, Hummel Park, Anderson Park, Swinford Park, and Friendship Gardens are all located in or adjacent to the White Lick Creek floodway and are all linked by about four miles of bicycle/pedestrian paths. These days you can&apos;t drive through Plainfield without seeing a family walking their dog or taking their kids on a bike ride. I love seeing all of these families outdoors, together, exercising! We just recently moved to the Plainfield area and took our first family trail walk the other day. I strapped my young one in, and we headed to the Whitelick Creek Trail Head, which has plenty of parking if you&apos;re visiting. I was nervous about the walk with the high temps, but the trail provided plenty of shade. Along the way, we were greeted by several birds and my daughter even saw her favorite animal passing by -- a dog! We had a great walk and the trail was perfect. The Plainfield trail system is a great asset not only to Plainfield but to Hendricks County and the Indianapolis area as a whole. Not only do the town trails link parks, but you can walk or bike to schools, libraries, businesses and other residential areas. 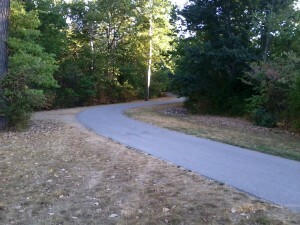 For a comprehensive list or more details about all the town&apos;s trails, click here. "With more and more emphasis placed on the benefits of physical fitness, the trails allow users of all ages to exercise," Chafin said. "Parents or grandparents and their children or grandchildren can exercise together by walking, jogging or riding a bicycle. All of these can be done at no cost." As always Plainfield is looking for ways to continue to improve and become the best it can for its residents and visitors. As they look to the future they have great ambitions. Ultimately, they plan for their paths to extend as far north as Avon, as far east as Indianapolis, and as far south as Mooresville. 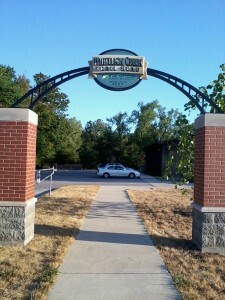 So why not take advantage of this great community benefit and head to Plainfield today for a nice stroll or bike ride! Load up the kids, the bikes and a lunch, and you have a low budget (free) fun family activity!